The strongest combination for CA Education. Passion drives us, perfection inspires us. Learn how we sow the seeds of professionalism in our students. Dear Students, If YOU havE purchased our hardisk, we havE already given to YOU lectures of GST but we ArE making a new recording AnD it wILl bE completed upto 10th May. If YOU want new lectures it wIlL bE given to YOU free of cost. Bring your hardisk/laptop to our center after 10th May AnD lectures wIlL bE copied to hardisk/laptop Or send hardisk by courier AnD we shall send YOU back after copying the lectures. 5th edition has already been sent to YOU by courier (free of cost). Further first 10 lectures wIlL bE uploaded on YOU tube. YOU can subscribe our channel. NO TEACHER OF TAXATION IN INDIA HAS A BETTER RESULT THAN OURS. our student prashant yadav (roll no. 354233) gets 92 marks in taxation in nov 2014 exam. 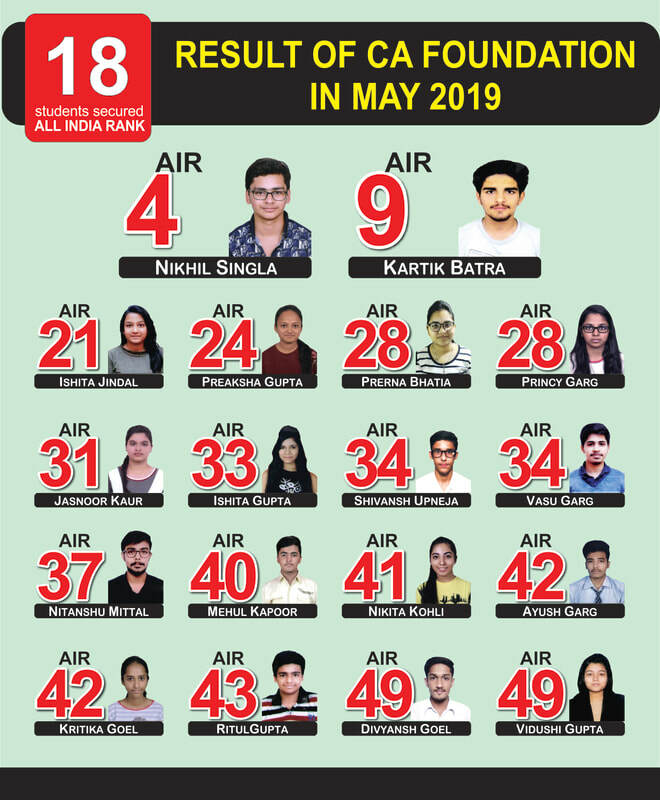 ​Congratulatory Ceremony ALL INDIA 1st RANK CLICK HERE. 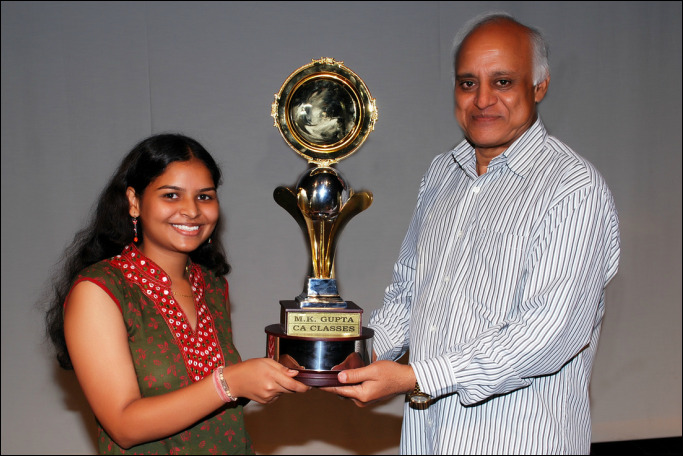 M.K.Gupta Sir Presenting Trophy to Miss ETI AGARWAL ALL INDIA 1st RANK in CA- Intermediate (IPC) Nov. 2013, Aggregate marks 79.71%, Highest Marks in Taxation 89% All Over India, Roll No.- 366539. 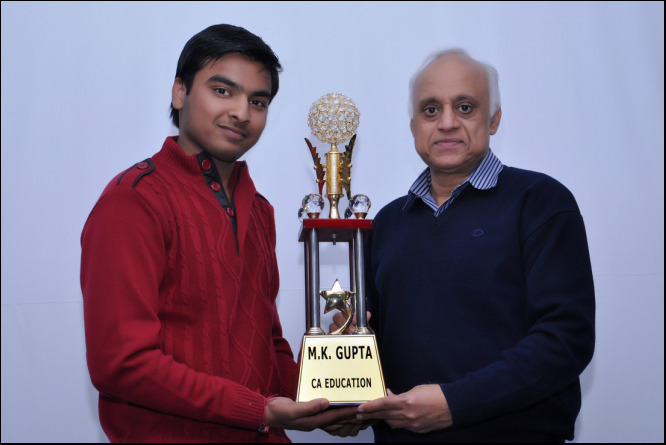 M.K.Gupta Sir Presenting Trophy to Mr. AKSHAY JAIN ALL INDIA 1st RANK in CA- Intermediate (IPC) Nov. 2013, Aggregate marks 79.71%, Second Highest Marks in Taxation 87% All Over India, Roll No.- 368162. We are committed to providing academic excellence, focusing particularly on overall intellectual development. The future of any industry hinges upon the education that students receive at the foundation. Our aim is to make that foundation rock solid, providing guidance and support throughout. We listen, learn and expand. RESULT OF EVERY STUDENT MATTERS. BEST IN EVERY STUDENT. OUR AIM IS NOT JUST LIMITED TO MAKE THE STUDENT CLEAR HIS EXAM BUT EXTENDS TO BUILDING A STRONG ACADEMIC PLATFORM FOR HIS BRIGHT FUTURE. ​We know that teaching is a reciprocal relationship, best built with trust, care and understanding. We are proud to welcome new students to our institute every year, knowing that as they progress along the path to success, we helped them get there. It is with immense pride and joy that we undertake this momentous job of imparting specialised CA education to our students. So browse through the website, familiarise yourself and join us in helping you to make a better you for your future. 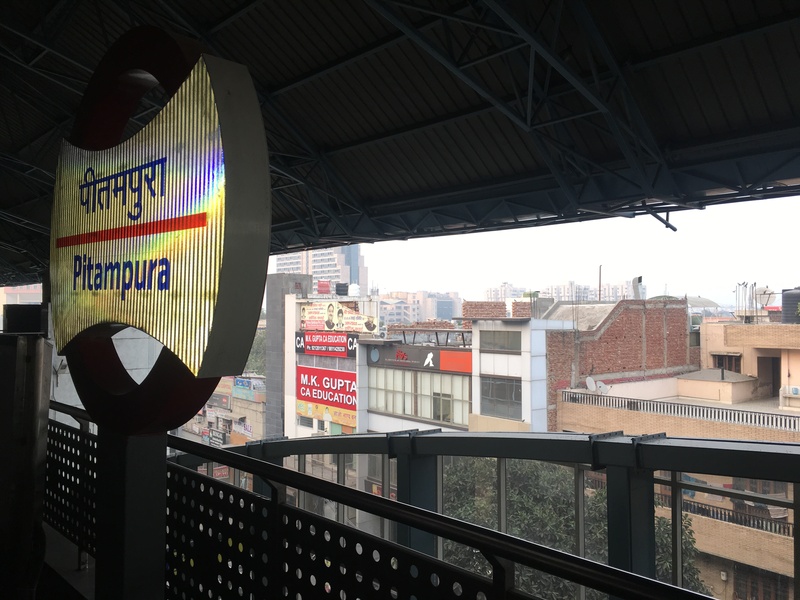 ﻿﻿What is MK Gupta CA Education? An institution, a home, a classroom where one can truly enjoy all the wonders of education. MK Gupta CA Education is a haven for those seeking the best in today's Chartered Accountancy profession. It's an ideal combination of professionals and academicians working together to give our students the best in this industry. Always striving towards excellence. How is MK Gupta CA Education different from other institutes? M.K.Gupta Sir, the founder of this Institute taking classes of Taxation at CA- Intermediate level. Neha Jalan & Vaibhav Jalan, the daughter and son-in-law of M.K.Gupta Sir taking classes of CA-Foundation. We teach every student as our own child and nourish them at every step. We teach only those subject in which we feel we can impart good knowledge to the students and restrict ourselves even from employing teachers at our Institute as we feel that a student deserve only the best. This make our institute a bit different and popular amongst students. Anyone who has a penchant for learning from the very best and becoming an accomplished individual in the corporate world. Or someone who hasn't decided their passion yet but wants to be guided and directed by our qualified staff. Or someone who is looking to learn the quirks of the Chartered Accountancy profession. Whoever you are, take a tour through our website and give us a call! Just give us a call or walk into our centres. Even if you're not sure, just call us anyway to have a chat and get a feel for things! We here at MK Gupta CA Education churn out toppers every single year, which is a testament to our integrity. We take great pride in producing some of the industry's best CAs. We are consistently hoping to reach new heights as we progress into the new age. At the same time we pump them with good values through various Food for Thought sessions which help them to evolve them as good human beings along with good chartered Accountants.